When Douglass was about six years old, his grandmother walked with him the twelve miles from his childhood cabin to the Wye House plantation where he would begin work as a slave. "Public opinion is, indeed, an unfailing restraint upon the cruelty and barbarity of masters, overseers, and slave-drivers, whenever and wherever it can reach them; but there are certain secluded and out-of-the-way places, even in the state of Maryland, seldom visited by a single ray of healthy public sentiment—where slavery, wrapt in its own congenial, midnight darkness, can, and does, develop all its malign and shocking characteristics; where it can be indecent without shame, cruel without shuddering, and murderous without apprehension or fear of exposure. 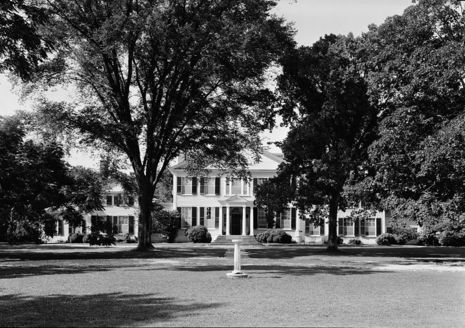 Just such a secluded, dark, and out-of-the-way place, is the "home plantation" of Col. Edward Lloyd, on the Eastern Shore, Maryland. It is far away from all the great thoroughfares, and is proximate to no town or village." During its peak, the plantation surrounding the house encompassed 42,000 acres (170 km2) and housed over 1,000 slaves. 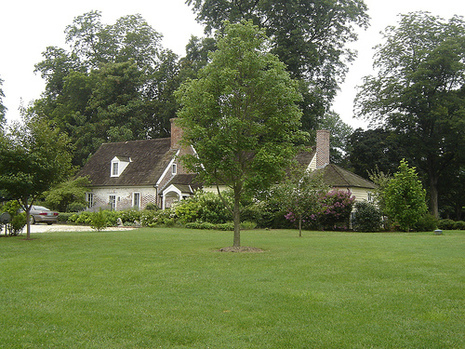 Though the land has shrunk to 1,300 acres (5.3 km2) today, it is still owned by the descendants of Edward Lloyd, now in their 11th generation on the property. Frederick Douglass spent a few years of his life on the plantation, around the ages of seven and eight, and spoke extensively of the brutal conditions of the plantation in his autobiography, Narrative of the Life of Frederick Douglass, an American Slave.